We are a leading Manufacturer of industrial chains for sugar industries from Ludhiana, India. We are the leading manufacturer and supplier of a superior quality Industrial Chains for Sugar Industries. These Industrial Chains are extensively used for effective conveying unit load above the ground. This chain is widely acknowledged among our customers in market for their corrosion durability, resistance and reliability. 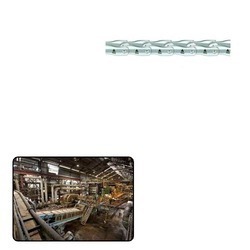 Looking for Industrial Chains for Sugar Industries ?